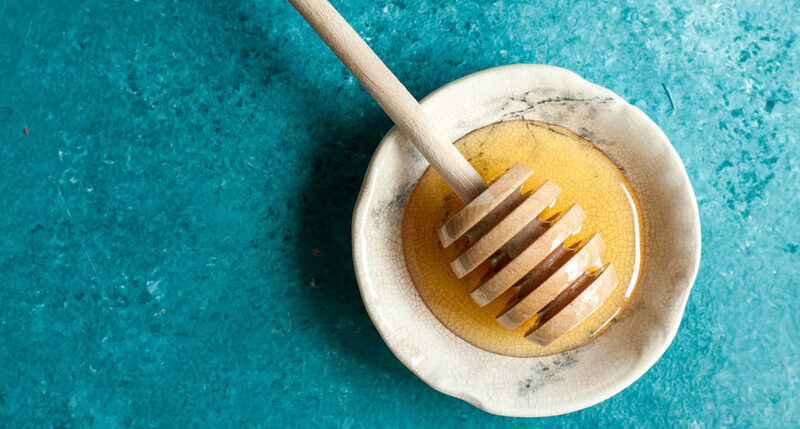 Honey is a unique food. Produced only by bees, it is the most abundant and concentrated source of natural sugars available for the human diet. The sweetness of honey is high enough to persuade many people to use it as a substitute for granulated sugar and syrups. Honey has a good caloric effect; it has been used as a natural energizer for thousands of years. It has a glycaemic load and a fairly important glycaemic index and therefore must be consumed in the right amounts. Glycaemic load is the amount of glucose present in a food which, after digestion and absorption, causes a rise in blood sugar (glucose diluted in blood plasma). The glycaemic load depends on the concentration of carbohydrates and the portion consumed. Glycaemic index is the speed at which blood sugar levels increase after intake of a food. The glycaemic index varies depending on the simplicity of digestive absorption; It is inversely proportional to the presence of various nutritional factors in carbohydrates such as proteins, fats and fibres. A food, meal or diet that has an excessive glycaemic load and index stimulates the secretion of too much insulin (a hormone that, if constantly in excess, promotes the accumulation of fat and worsens glucose metabolism). Frankly, it is unlikely that honey plays a role in the onset of obesity, type 2 diabetes mellitus and hypertriglyceridemia. Instead, these illness are more frequently associated with excess junk foods (foods and drinks), alcohol and physical inactivity. The organoleptic and flavour characteristics of honey are inimitable, unique and unrepeatable. This particularly applies to self-produced, artisanal and wild honey. This peculiarity is due to the compositional variation of the product in relation to: water, micronutrients, macronutrients and other elements such as the aromatic principles (volatile and not). Many do not know that “raw” or unpasteurized honey has a good shelf life and is hygienically safe. Pasteurization, shelf-life and “LIVE” nutrients: Pasteurization is a technological process applied to food, especially by the industry, in order to prolong the shelf life of honey in the market. It is based on the transmission of heat (78-82 ° C), lower than boiling point, but sufficient to eliminate pests, most bacteria (not spores), moulds, yeasts, and viruses. Shelf-life is defined as the maximum time the characteristics necessary to ensure the “quality” of the packed product remains intact. It is true that pasteurization increases exponentially the shelf life of honey, but it is equally true that pasteurization attacks many heat-sensitive molecules and destroys the living part of the honey, responsible for antibiotic and antifungal properties, and of course the vitamins and all the enzymes. So the honey loses all the real nutritive and nutraceutical properties. Spontaneous presence of natural, antimicrobial factors released by bees. 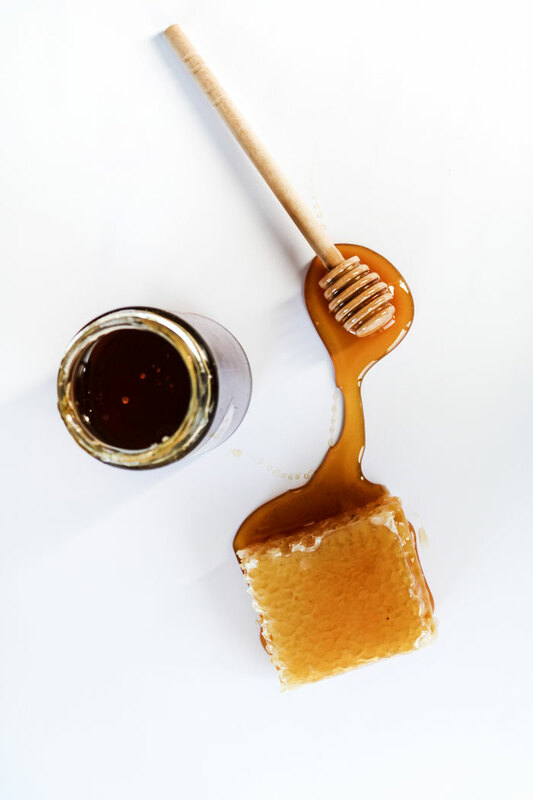 Some raw honeys are so rich in antibacterial, antifungal and antiviral elements, that, in the past, some people used it as a topical disinfectant, emollient and healer to be applied on wounds, on burns and other skin lesions. By virtue of the same antimicrobial factors, it is assumed that raw honey may reduce the risk of dental caries compared to granular sugar and syrups; However, because of the lack of statistical information to compare raw honey consumption to commercially produced honey consumption, there is no scientific evidence to support this hypothesis.